After more than three years of inactivity, and thanks to a new cryogenic refrigerator, the Hubble Space Telescope's Near Infrared Camera and Multi-Object Spectrometer (NICMOS) today debuts various breathtaking views of galaxies in several stages of development. The first NICMOS test images demonstrate its powerful new capability for making remarkable discoveries unique to space-based near-infrared astronomy. The NICMOS's penetrating vision sliced through the edge-on dusty disk of a galaxy, NGC 4013, to peer all the way into the galaxy's core. Astronomers were surprised to see what appears to be an edge-on ring of stars, 720 light-years across, encircling the nucleus. Though such star-rings are not uncommon in barred spiral galaxies, only NICMOS has the resolution to see the ring buried deep inside an edge-on galaxy. Shifting its infrared vision to our stellar backyard, NICMOS peeled back the outer layers of the Cone Nebula (also photographed by Hubble's Advanced Camera for Surveys in April) to see the underlying dusty "bedrock" in this stellar "pillar of creation". "It is fantastic that we have restored Hubble's infrared eyesight. NICMOS has taken us to the very fringes of the Universe and to a time when the first galaxies were formed. We can't wait to get back out there," said Dr. Rodger Thompson, NICMOS Principal Investigator, University of Arizona, Tucson. 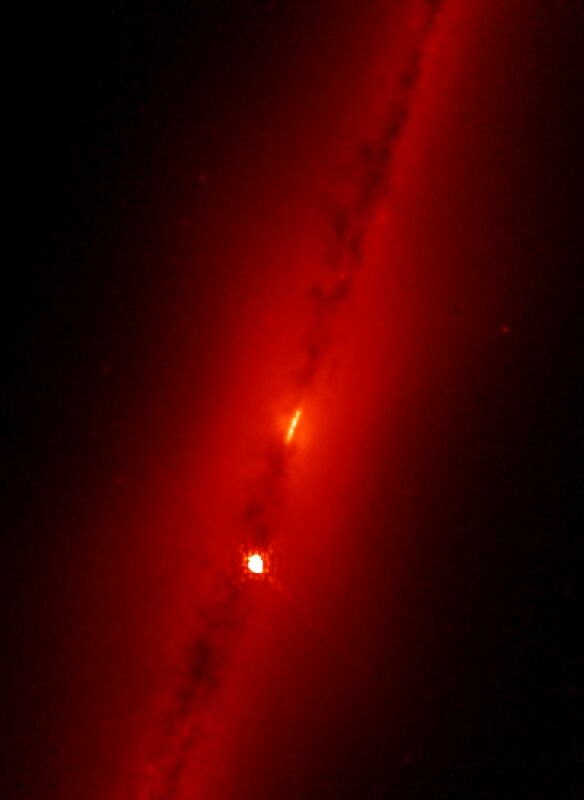 Installed on Hubble in February 1997, NICMOS used infrared vision to probe dark, dusty, never-before-seen regions of space with the optical clarity that only Hubble can provide. 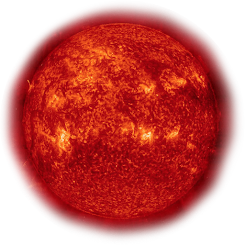 Its infrared detectors operated at a very cold temperature (minus 351 degrees Fahrenheit, which is minus 213 degrees Celsius or 60 Kelvin). To keep the detectors cold, NICMOS was encased in a thermos-like container filled with solid nitrogen ice. It was expected that the solid nitrogen ice would last approximately four years. However, the ice evaporated about twice as fast as planned and was depleted after only 23 months of NICMOS science operations. In 1999, with its supply of ice exhausted, NICMOS became dormant. Determined not to be defeated, NASA scientists and engineers devised a plan to restore NICMOS to life. They turned to a new mechanical cooling technology, jointly developed by NASA and the U.S. Air Force. The NICMOS Cooling System (NCS) was built by NASA's Goddard Space Flight Center, Greenbelt, MD, and the Creare Corporation, Hanover, NH. The mechanical cooler operates on principles similar to a modern home refrigerator. It pumps ultra-cold neon gas through the internal plumbing of the instrument. At its core are three miniature, high-tech turbines that spin at rates up to about 430,000 rpm. Since the speed of the turbines can be adjusted at will, the NICMOS light sensors can be operated at a more optimal temperature than was possible before, about 77 Kelvin (minus 321 degrees Fahrenheit). The NICMOS cooling system is virtually vibration-free, an important aspect for Hubble since vibrations can affect image quality in much the same way that a shaky camera produces blurred pictures.